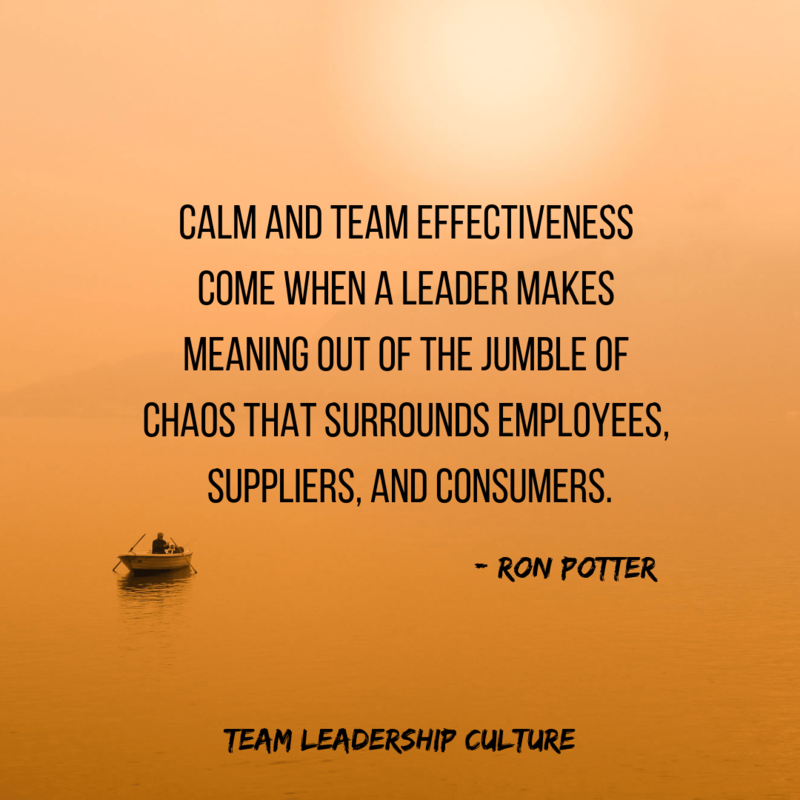 Calm and team effectiveness come when a leader makes meaning out of the jumble of chaos that surrounds employees, suppliers, and consumers. In most situations, every person on a team brings a different point of view, a unique experience, or a personal preference to the table. Every market change brings with it new expectations, new competition, or new hopes. It also brings new opinions, new points of view, and new preferences. How does a leader make meaning out of all that? Leaders who understand the need to make meaning for their teams and organizations understand that it starts with their own style. If we are self-centered and proud, we surrender the ability to see the angst in others. The prideful leader will not see the need for communication or helping others understand what is going on around them. Such leaders hold their cards close to the vest. Their focus is on themselves. Peacemakers maximize opportunities for communication. I have a friend who says, “You need to tell people the story until you vomit—then tell them some more.” Peacemakers take advantage of every opportunity to communicate with people to help them understand chaos and confusion. Communication is not just speaking; it involves listening, too. In true communication, a leader honors everyone’s opinions and frames of reference. The goal is to learn, not necessarily to check items off the to-do list. This creates a “learning” organization or team that encourages and listens to everyone’s opinions. Before making decisions, leaders of learning organizations probe the dissenters to better understand their opinions. They listen, learn, honor other people, and discover how to make great, lasting decisions. Even when people see change or confusion as an opportunity rather than a menace, they still need to feel safe and unafraid. Leaders need to create an environment that is open and flexible. Leaders need to encourage thinking that seeks the sustainability of improvements, not just the solutions to problems. In order for people to go that far, they need to feel supported and that their thoughts are being heard and acted upon.